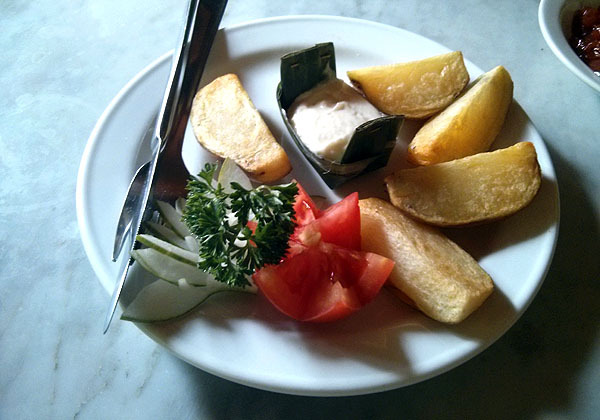 Murni’s claims to be the first ever restaurant in Ubud. It was established in 1974, and is considered an institution, the place to go! 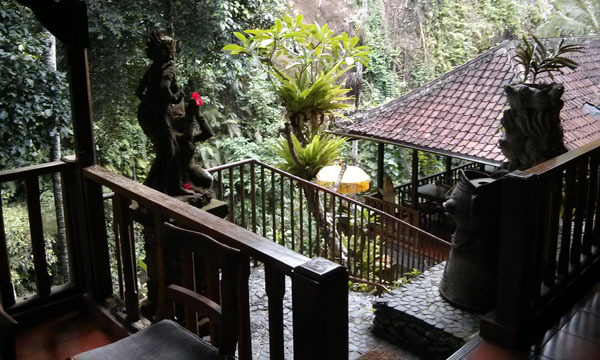 It is located just before the bridge on the main road, as you head out of Ubud. As you enter the small underwhelming opening, you quickly realise the fantastic view that is hidden away, and from 4 different levels inside. The place is built on the side of the ravine and you can see the river below from some of the seating areas. One of the levels is a ‘lounge’ with a more relaxed feel. There is free WiFi, of course! The staff are very friendly and chatty, and there is lots of art work and sculptures around, which links to the shop on the top floor. The shop sells an assortment of nic nacs, and is on both sides of the entrance. The food we ordered included the Ayam Tutu. 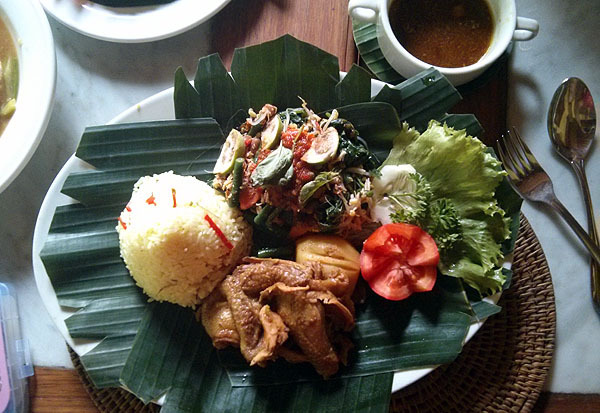 A very tasty chicken dish cooked for a long time with Balinese spices, served with an urab salad and yellow rice on the side. Murni’s fish with tuorto sauce. 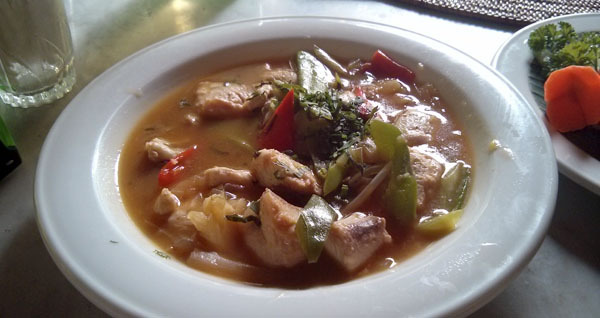 This was like a casserole of sorts, with a large fish, some veg and served with rice. GInger was the tasty hit I got straight up, but was also a little sweet and very yummy. Big fat chunky wedges to share! Pork spare ribs for olive. Quite nice ribs, tender and tasty, even though we asked for the spicy sauce to be in the side. 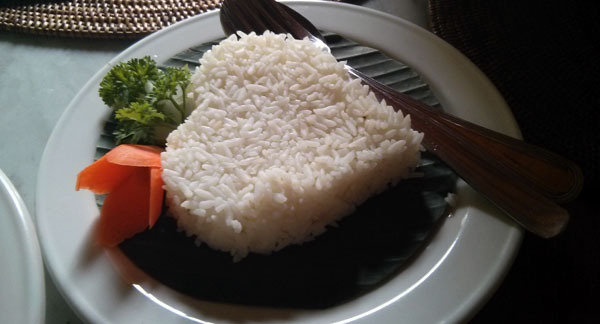 It also mentions on the menu that the service time may be slow because all the food is cooked fresh from scratch, but the food came out realtively quickly, no complaints from us. A lovely place to eat, even though it has slightly above-average prices, the quality was there.